When your client flies in a band from New Orleans, you know it’s going to be a rocking party! 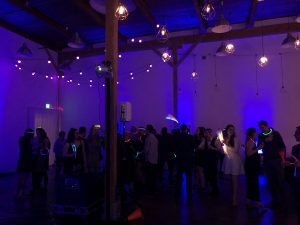 That’s exactly what PaySimple’s Holiday celebration was; an epic celebration of their year in review and a projection of their success to come. 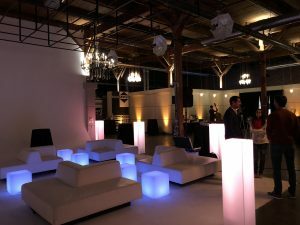 Nestled in the River North district of Denver, Cluster Studios is the new hip place to have an event. 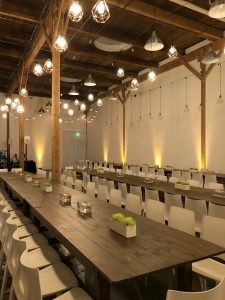 Recent renovations along with lounge furniture and moveable walls have given the space a bright personality that is perfect for any event. 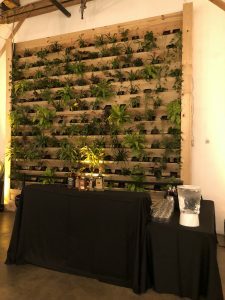 Artwork surrounds the entire space and includes a live plant wall, mirrored mosaic wallpaper, black and white contemporary bohemian paintings, and modern pops of color. 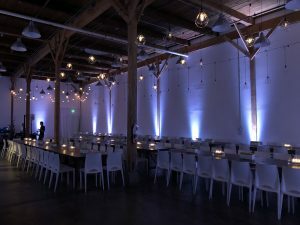 Moral of the story here: check out Cluster Studios for your upcoming event! 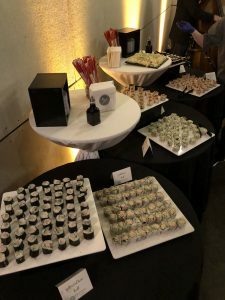 Guests were greeted with passed champagne, a sushi bar, and passed hors d’oeuvre’s followed by their Core Value Awards which are given annually to the standout employees of the year. 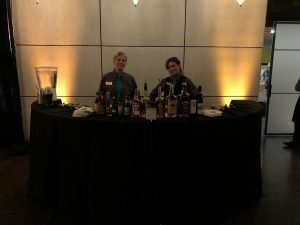 They mingled into the reception room where we set up additional bars and two buffets for guests to indulge. 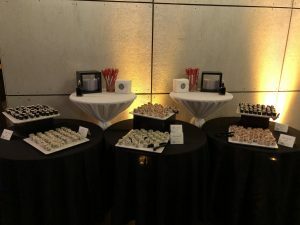 Following dinner, we flipped buffets to Late Night Snack and Dessert and guests danced the night away! 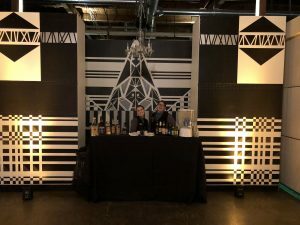 Our client wanted their guests to feel the holiday spirit while being able to enjoy delicious food and beverages. Check out the menu they chose, and the photo gallery in the bookmark to the right.